ClubCoins Нужно: 718 Please note that, for now, you cannot download content from our platform directly onto a mobile device (phone, iPod, iPad, tablets...). You need to download your items onto a PC or Mac, and then transfer them onto your device in the normal way. We are working on allowing direct downloads to mobile devices but this is not possible in the current version of the platform. Sorry about the inconvenience! 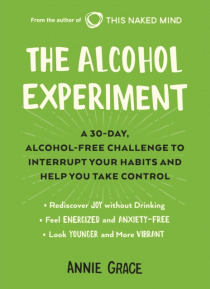 Challenge your thinking, find clarity, and form new habits with a 30-day alcohol-free experiment from the author of This Naked Mind.Changing your habits can be hard without the right tools. This is especially true for alcohol because habits are, by definition, subconscious thought processes. Through her methodical research of the latest neuroscience and her own journey, Annie Grace has cracked the… code on habit change by addressing the specific ways habits form. This unique and unprecedented method has now helped thousands redefine their relationship to drinking painlessly and without misery. In The Alcohol Experiment, Annie offers a judgment-free action plan for anyone who's ever wondered what life without alcohol is like. The rules are simple: Abstain from drinking for 30 days and just see how you feel. Annie arms her readers with the science-backed information to address the cultural and emotional conditioning we experience around alcohol. The result is a mindful approach that puts you back in control and permanently stops cravings.With a chapter devoted to each day of the experiment, Annie presents wisdom, tested strategies, and thought-provoking information to supplement the plan and support your step-by-step success as you learn what feels good for you. It's your body, your mind, and your choice.